Medium bodied with gentle roasted undertones and a mineral finish. 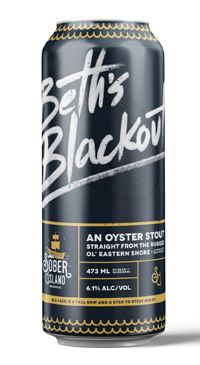 Crafted with fresh Pristine Bay Oysters; which are tossed into the brew during the last ten minutes of the boil; shell, meat, juice and all to infuse the stout with flavours of the sea. 6.1% ABV. I had this beer while on vacation this fall in Nova Scotia. I asked for a Guinness , but the waiter recommended this Oyster Stout. I couldn’t have been more pleased. It was simply delightful with the fish and chips.